Russian stocks are expected to open higher Tuesday as investors are looking to the US Federal Reserve for signs that monetary policy would be loosened. 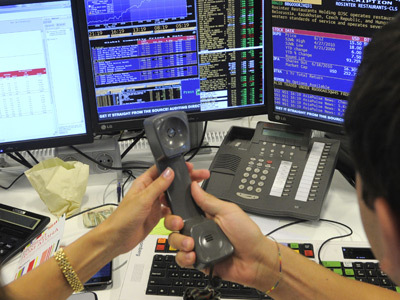 Russian markets gained Monday on the back of rising oil prices. The RTS and MICEX both added 0.4%. US stocks declined Monday after the International Monetary Fund reduced its 2013 global economic outlook to 3.9% from the 4.1% projected in April. US retail sales in June were also below market expectations, while the Empire State Manufacturing Index was stronger than anticipated. The Dow Jones lost 0.4%, the S&P 500 fell 0.2% and the NASDAQ Composite declined 0.4%. 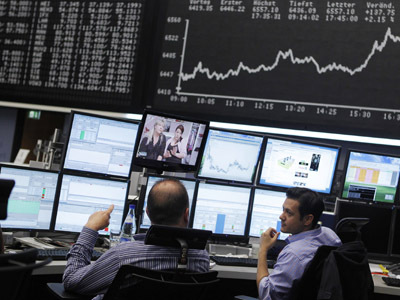 European stock markets closed slightly higher Monday amid mixed economic data from the US and worries on global growth. The Stoxx Europe 600 added 0.2%. Meanwhile the Spanish IBEX 35 lost 2% and yields on 10-year Spanish government bonds rose to 6.76% .In Germany, the DAX 30 inched up 0.1%. Asian stock markets moved higher Tuesday as investors anticipated announcements from the US Federal Reserve and the Chinese government. In China, Hong Kong’s Hang Seng added 1.75%, while the Shanghai Composite Index edged up 0.55%. Japanese Nikkei Stock Average was up 0.6% after a three day holiday, while the Australian S&P/ASX 200 added 1%, and South Korea’s Kospi rose 0.66%.